Lately, I've been thinking a lot about where my stories take place. 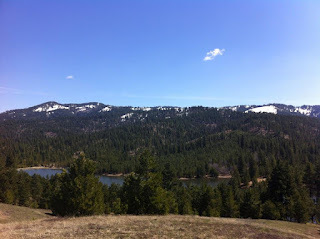 I've written about small farms and mountain communities in Idaho. I have a cozy set in a fictional coastal California town. Mostly, I like writing about places that touch me. Places that call to me. My cozy started with a picture of a run down, boarded up house, perched on the edge of a charming tourist town. I shot a picture of the house, and the story just kept calling to me. I imagined the town fathers trying to buy that house for years, probably to bull doze the house and build something new. Something pretty. But the owner won't sell. Why? Because she raised her child in that house, the child that didn't come home from Vietnam. 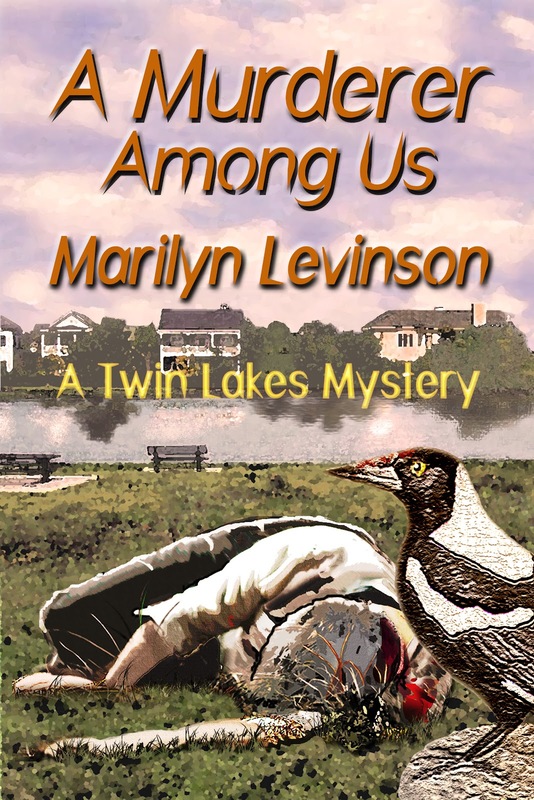 She lost her husband in that house, his life slipping away while she slept next to him, unaware. She wants to die in that house. And besides, she likes making the Mayor see red. Last month I took a walk back in time over the Mississippi river. The Chain of Rocks bridge once was a thriving crossroads from Missouri to Illinois. But time and a new, improved freeway system, made the bridge unusable. Luck and lack of funds kept it intact until the trail system was able to re-purpose the bridge into a wonderful walking path. Settings, they get my wheels turning. How about you? What causes you to start imagining a new book? Is it place, character, or plot? I'm in the NorthWoods this week enjoying and not enjoying nature. The trees and water and birds are lovely. The bats and bugs leave something to be desired. A short bit of writing advice - Rember to include the bad with the good. For my debut here, I promised to go into the types of publishing that I've had experience with. Actually, I think I've had experience with them all. Today it's small press. These are springing up like mushrooms to fill the void left by the NY publishing houses, who are cutting back on anything that is unlike what they know to be successful. That's a good thing! Of course, established midlist authors are self-publishing in droves, but others are using small presses. It's a great way to enter the publishing world for new authors, too. The smaller presses are more ready to take a chance on something that doesn't quite fit an established niche. And, let's face it, that's what writers love to write--something new, fresh, different. Frankly, POD makes so much business sense, it would seem the only way to go. But the books do cost more, so that's a tradeoff. If you get an offer from a small press, be sure to read the contract carefully. 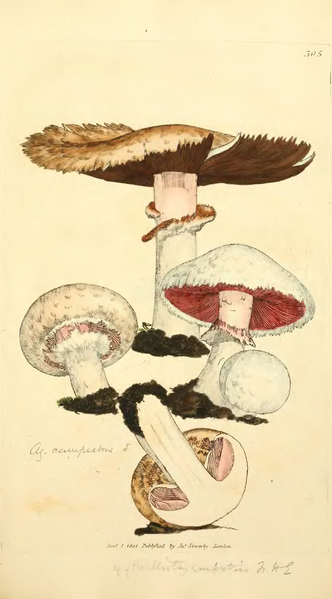 Even then, some of it might be obscure! Some are very plain, some are couched in legalese. Get help if you don’t understand some of it. It's worth it to find an attorney to interpret if you're unsure about some of the clauses. Some small presses have better terms than others. A 40 percent discount on buying your own books is common. However, I found it impossible to get my books into one local Austin bookstore that insisted on consignment and a 60/40 split (60 percent for me, 40 for them). With me already paying 60 percent on the books, plus shipping, that put me behind at the start. That book store also demanded a $25 fee up front, so that I lost $1.78 on every book sold there! They only did that for small press books, of course, otherwise they would have nothing to sell. Other independent bookstores have been much, much friendlier. I got a 70/30 split from one, another ordered my books from the publisher. Some of my small presses pay much higher royalties than others. They don't like the writers to disclose the contract terms, but I'll tell you that they are NOT all the same. Another area where they differ is cover design. You don't have the final say for any small press, but some give you more input than others. Since so many books are sold online now, I feel that cover design is becoming more and more important. It's catch someone's eye with a thumbnail, but that's what your book has to do. It also has to fit your genre so you attract the reader who is expecting to find what you've written. I'd advise looking at the covers for the small press you're thinking of going with to see if they do it for you. Also, plunk down the money to buy at least a couple of their books to check the quality. I'm so grateful for the small press experiences I've had, and for the chance to have my work validated by publishers who want to take a chance on my books! I confess. I’m a bibliophile. I love books. Old books, new books, signed books and rare books, especially mystery novels. They're among my most prized possessions. I literally have thousands of books and they’re in every room. We’ve run out of bookcases and many of the ones that have already been read are in boxes, but I can’t bring myself to get rid of them. I still have some from childhood (back in the dark ages). Another bibliophile, Anne Fadiman, wrote that people who revere first editions and books with lovely covers, and who worry about readers defiling them by writing in the margins, are what she calls “courtly lovers.” She also said that readers “who split open books as if they were ripe fruit, who dog-ear pages and use paperbacks as table mats, are carnal lovers." Which of Fadiman’s categories do you fit into? I dread the day I have to move because it would cost a fortune to move all these books. And what a backbreaking job that would be. I'm reminded of the time I interviewed Louis L’Amour at his southern California home. His huge office contained floor to ceiling hinged bookcases. Behind them were identical bookcases filled with some 10,000 books. I’m sure he was a fellow bibliophile. I was happy to find one of my own books hiding there on one of the lower shelves next to a copy of Riders of the Purple Sage. I felt sorry for L’Amour’s housekeeper. Have you ever tried dusting 10,000 books? No wonder librarians are always sneezing. Even my dog sneezes when I take out my swivel duster. Not that I dust mine every day. Writers need time away from housework, but the temptation to caress my books while I take a break at my desk is irresistible. They’re stacked on both sides of my computer and all along the top in built-in bookcases, just sitting there waiting for me to take them down and open them. Or just run my fingers along their spines. It makes me tingle just thinking about it. 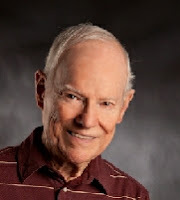 Western writer Elmer Kelton once told me that his book collection seemed to breed overnight. Bibliophiles are a sensual lot. Just when it seemed as though a bedroom would have to be converted into a library, ebook readers came along during the '90s and I bought one when my own books were published electronically. I've since gone through the clumsy originals as well as Kindles, a Nook and an iPad, but there's still nothing like holding a print book in my hands, smelling the aroma of ink and rifling through the pages as though on a treasure hunt. Which format do you prefer and would you trade print books for exclusive electronic reading? The earliest I can remember is during my fourth and fifth year. I know some folks can remember much earlier, but that's about it for me. When I was four or a bit younger, my mom went with my aunt to Hawaii--on a cruise ship--as a celebration for both their graduations from college. I stayed home with my daddy. I rememer eating rattlesnake and rabbit that he shot in the backyard. Obviously we survived. Before I could write, I was drawing scenes of my own version of the radio soap opera My Gal Sunday. (This was in the days of 15 minute soaps like Ma Perkins.) I had a little table in our breakfast nook with a big tablet and crayons. We lived in South Pasadena in a house my grandparents owned because my dad was out of work. I played in the vacant lot with all the neighborhood kids who wre much older than me. They made tunnels in the ground and I was always the first one sent in to see if it was safe. I would have done anything those kids asked me to do. Once they had a piano box and made an "elevator" out of it by tying a rope around it and throwing one end over a tree branch. Guess who got the first ride up and down? Yep, me. These same kids showed me a way to get into their house by crawling underneath and then through a hole in the closet floor. Once when the family was gone, I got in that way and had a great time playing with their toys. Mother finally realized I was missing and went looking. First place she went was this family's home, but of course no one was home. The grandpa lived nearby and must've had an idea what might have happened, because he let mom in and she found me. Not sure what happened after that. There was an elderly couple two doors up the street that I often visited, never telling my mother where I was going. They always treated me with cookies and milk. When I went to kindergarten I made friends with a girl named Sheila and I know her dad had a job with the Los Angeles Times. They had a lot more money than we did, lived in a big house and Sheila had a black nanny or maybe she was the maid. 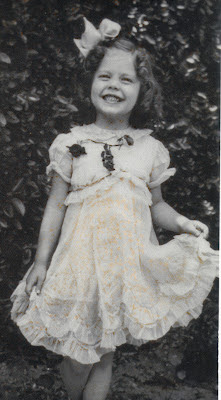 In the backyard, Sheila had a two story play house. While mom was off having her baby (in those days new moms stayed in the hospital for 10 days), my dad took me to school, but I went home and spent the afternoon at Sheila's. One day I walked home from school with another girl and I know we had to cross the train tracks. Some bigger boys chased us and I know I was scared. Don't really remember much more except that I outran them. I have more from when I was older--no one ever cared where I went as long as I was home by 5 for dinner. For now, these are my 4-5 year old memories. Any one of these little vignettes could be developed into a part of a mystery. Have you got childhood memories that might make their way into a mystery one day? What about you, do you have some childhood memories that you might use one day? I’m delighted to announce I’ll be blogging here the first and third Monday of each month. 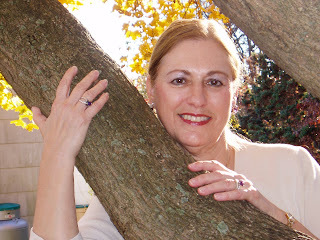 I write mysteries as well as romantic suspense and books for children. I’ve been published traditionally, with e-houses, and have taken the route of self-publishing. 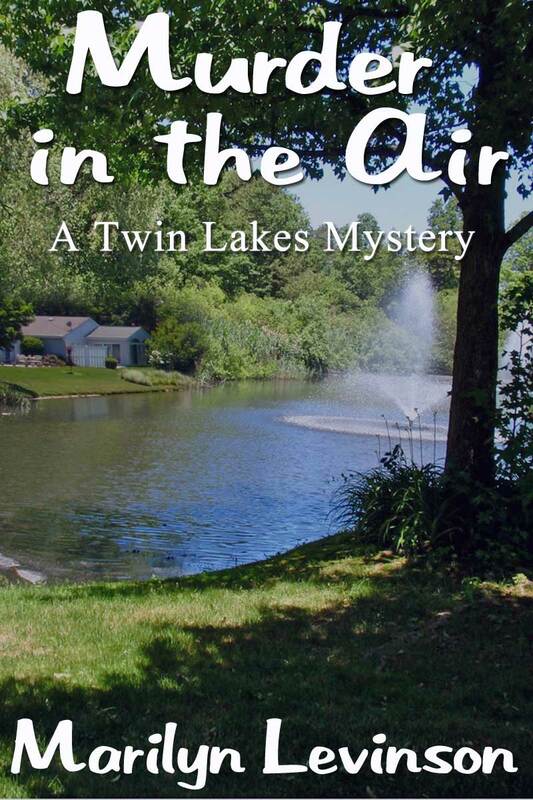 Currently available to readers are two Twin Lake mysteries--MURDERER AMONG US, a Suspense Magazine Best Indie of 2011, and MURDER IN THE AIR--and my ghost mystery, GIVING UP THE GHOST. 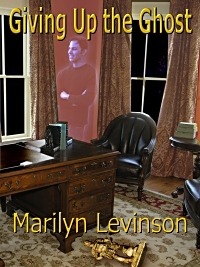 My romantic suspense, DANGEROUS RELATIONS, will be out with Uncial Press in October. I lived in Brooklyn until I was fourteen and a half, at which point my family moved to Long Island. I still live on Long Island, which is the setting of most of my novels. Each move, it seems, takes me further east. Makes me wonder if I’ll spend my “mature years” living in Montauk or Greenport. I was a high school Spanish teacher, and I’ve taught writing classes. I love to travel, to read—what writer doesn’t?—to eat out, especially in ethnic restaurants, to knit and create my own patterns, to email my friends, and do Sudoku. I love cats and most dogs, to watch foreign films, to take long drives with my husband, and enjoy a glass of chardonnay after my writing is done for the day. Sometimes I love to cook, to go for long walks, and do aerobics. I lie. The aerobics is merely to stay in shape. One of my proudest achievements was co-founding and being the first president of the Long Island chapter of Sisters in Crime. My mind never stops churning out ideas for new plots and new series. But enough about me. Tell me what you love—or merely like. I’d love to hear from you. Recently, while corresponding with a fellow writer, I ran slam-bam into a question that has plagued me for years. Oh, I made up my answers and stuck by them in all my writing and the edits and critiques I've done, but the question didn't go away, just took a long snooze. Basically, the question that continues to nag me is: What is your expert source for those little things not defined for fiction writing? Yeah, there are tons of experts on writing bestsellers. When I go to Amazon and search on how-to for writing fiction, the hits are 2,141. If I use writing fiction, there are 32,888 results. Each of these authors wrote the best book they could write, giving their honest opinions on how to ply our trade. One caught my eye because of its title. My answers should be there, it seemed. I scanned its table of contents. Did not appear to address my questions. So, what are these issues that trouble me so—or not? Em dashes. What is the proper way to display an em dash in fiction? My preference is the em dash (—) with no space on either side. For example: She wore her favorite blouse—the one Dave gave her—to the party. But is that correct? Why not a space before and one after? In fact, what is the size of an em dash? Microsoft Word's default gives us the equivalent of an en dash when you type two dashes. Is that okay, or should you create an actual em dash? I do, but who's to say I know what's right? Ellipsis. There's one to get a good discussion going. Microsoft Word, by default, takes three periods and compresses them into one space, and some writers use this. Others use space, dot, dot, dot, space. Some use no space, dot, dot, dot, no space. Me, I use space, dot, space, dot, space, dot, space. There are probably other variations in use. Which is correct? And what's the authority to prove it? Quote marks ending dialogue within dialogue. You know, the single quote mark, double quote mark bit. I use them together, such as: Tom said, "She screamed, 'Get out of my sight.'" But, one can argue there should be a space between. Tom said, "She screamed, 'Get out of my sight.' " I suppose you could even make an argument for two periods at the end. Tom said, "She screamed, 'Get out of my sight.'." Nah, that's just too strange looking. But, who's to say? However, my point is I use em dashes, ellipses, and quotes within quotes in all my stories. Do I use them correctly? Beats me and, to the best of my knowledge, there is no REAL expert to ask or any REAL authority to read. How do you do use them—and why? Do you know an absolute authority? Hello – I’m Janis Patterson, and I’m your new ‘first and third Wednesdays’ blogger. 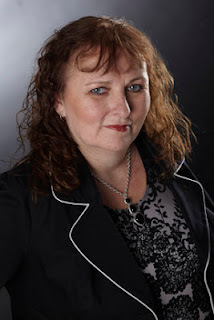 I write cozy murder mysteries as Janis Patterson, romance and horror as Janis Susan May, children’s as Janis Susan Patterson and non-fiction/scholarly as J.S.M. Patterson. Sometimes it’s fun being a crowd all by yourself! I’ve politicked and prayed and kept my fingers crossed in the hope that I would be accepted as a regular contributor to this blog. With perfect timing, as tomorrow is my birthday, that has come true. On the other hand, I’ve been in this wordsmithing game for more years than any sensible person would admit to. I’ve done a lot of stuff, both in writing and out in the real world. 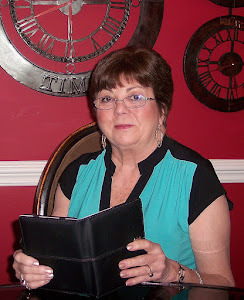 In writing, I was one of the original founders of Romance Writers of America. 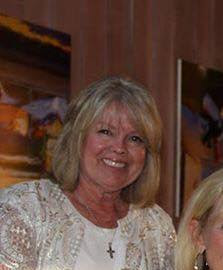 Served two terms as Secretary of MWA/SW. Been editor in chief of two multi-magazine publishing groups. Published I-don’t-know-how-many novels in I-don’t-know-how-many genres. And – the jewel in my career crown as far as I’m concerned – founded and edited the Newsletter (later retitled Menhedj) of the NT chapter of the American Research Center in Egypt. For the nine years of my reign (and maybe still is) it was the only monthly publication for ARCE in the world, and is a recognized scholarly publication archived in museums and universities in several countries. Be warned – one of my favorite hobbyhorses is ideas. To me there is nothing more annoying than having someone (usually male, middle-aged and badly dressed) sidle up to you (more often than not at a cocktail party) and say with the air of bestowing a great favor that he has a wonderful idea for a book, so why doesn’t he tell it to me so I can write it and we can split the money. Several men have learned to their cost not to say that to me when there are sharp objects within reach. Those little sword-shaped cocktail picks are surprisingly sturdy and almost lethal if correctly placed. Ideas are a dime a dozen. Anyone who can’t come up with half a dozen in half an hour (or much less) just isn’t trying. Anything can spark an idea – a cloud formation, a newscast, an antique piece of jewelry – anything. Now whether it is a useful idea or just a bit of momentary fluff is something totally different. The most important thing (and everyone repeat after me) – an idea is not a plot. Again – an idea is not a plot. Plots take lots and lots of ideas, and you have to weave them together seamlessly. Sorry – I’m lecturing. I do that a lot, so brace yourselves. I am so incredibly flattered to be included in this blog – I hope it comes through, as I am the world’s worst techno-naif. I’m new. Be kind. Standing on a street corner, leaning against the light pole, dressed in a London Fog trench coat, my fedora pitched forward, hiding my face, I’m entering the ‘Make Mine Mystery’ blog world. Okay, that’s what I think I look like. I’m probably really look more like my amateur sleuth heroines –frazzled and frumpy. A woman just trying to get through the day with work and relatives and all the day-to-day crap. Then she stumbles over a dead body. Of course, my heroine is the prime suspect for oh, so many reasons. I've found some success in writing romance. My debut (THE BULL RIDER'S BROTHER) came out this June, with next in the series releasing in November. And I have a paranormal romantic novella (A MEMBER OF THE COUNCIL) releasing in November as well. Not a dead body in either. But my paranormal does have a homicidal cousin – who will in a future episode, will at least try to kill my heroine. I’ve also sold essays to Chicken Soup and short fiction to the confessional magazines. Yeah, I’m sounding more and more like Mary Poppins as I write this introduction. I assure you, I have a dark side. I’m the writer who stops at a roadside rest stop during a car trip, checks out the woods surrounding the parking lot, and thinks, what a great place to hide a body. So I write mysteries. I’m currently shopping a cozy set in a coastal California town known for its love of tourists. 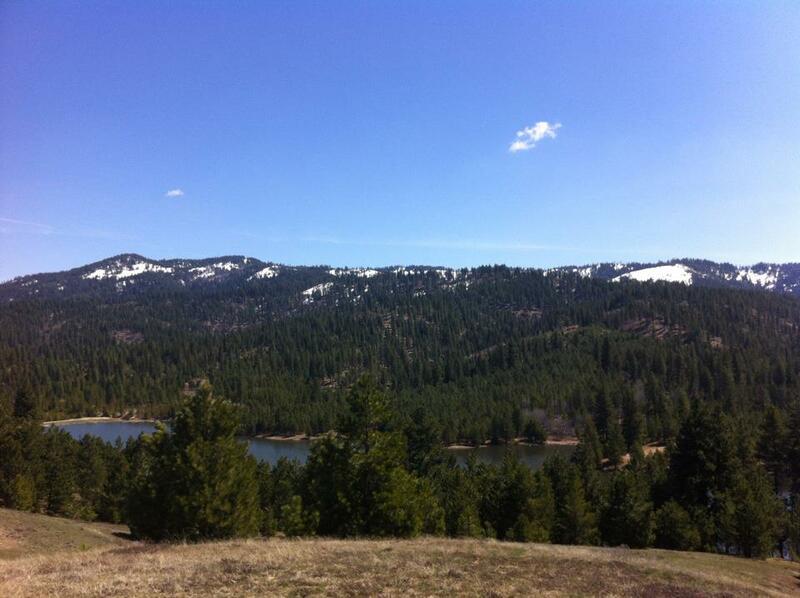 And while that series looks for a home, I’ve started a new cozy set in a small fictional town near Sun Valley, Idaho. So if you see me leaning around street lamps on a dark and foggy night-- stop by and talk. But watch out! You know I’m up to no good. 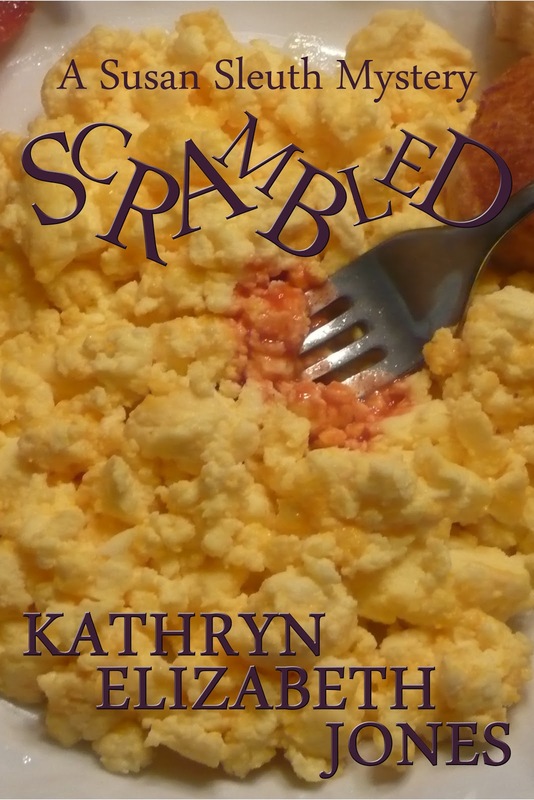 Our guest today, mystery author, Kathryn Elizabeth Jones, will give one autographed print copy of Scrambled, the first in a series of Susan Sleuth cozies, when it becomes available in September, to one lucky winner from commenters to this post. When you comment, please include your email address, so that she can contact you for shipping information. Susan believes that the grass is greener on the other side. Not that her current life is bad, necessarily; it’s just boring and lifeless, kind of like the old matted rug on her dining room floor. Susan thinks her marriage has just grown—well, old. Her husband, Bob, has gained tremendous weight and continues to gain, and his health suffers. She must work at a job she hates full-time to provide the little sustenance they have. He, on the other hand, works very little (because of his health) and prefers spending his days watching television or surfing the Internet. Besides, there’s her problem of not getting pregnant that can’t help but contribute to his unhappiness. 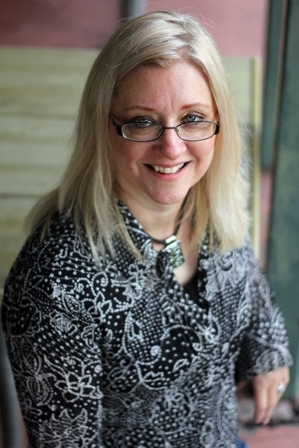 Kathryn has been a published writer since 1987. She has published various newspaper stories, magazine articles, essays and short stories for teens and adults. 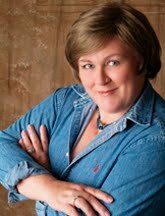 She is the author of: “A River of Stones,” a young adult fiction novel dealing with divorce published in 2002, and “Conquering your Goliaths—A Parable of the Five Stones,” a Christian novel published in January of 2012. One of her latest creations, a “Conquering your Goliaths—Guidebook,” was published in February of 2012. “Scrambled,” soon to be published in September 2012, is her first cozy mystery. I'm so pleased to be posting here! If you don't know who I am, I'll do a little intro. I'm Kaye George. I started out in Los Angeles, but only lived there three months--don't remember it at all. I was raised in Moline, IL, and have lived all over the US since leaving Illinois. For now, I'm in Texas, near Waco, but it's a good bet I won't stay here forever. I used to paint a little and I'm also a musician, classical violin (not fiddle, to the eternal disappointment of my Texas neighbors). For jobs, I've done waitressing, nurse's aide, bookkeeper, secretary, janitor, nanny, computer programmer, and maybe a couple I've forgotten. 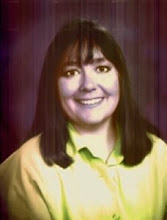 I've been writing all my life, but have been doing mysteries for a little over ten years. My short stories started getting published in 2005. I ran around the house screaming at the top of my lungs when the first tale was accepted at Web Mystery Magazine. In fact, over the next few days, whenever I thought about it I started screaming again. At that point, I'd been writing and submitting for five years without publication results. What a great feeling that was! Since then, I've had more short stories published, and some novels. 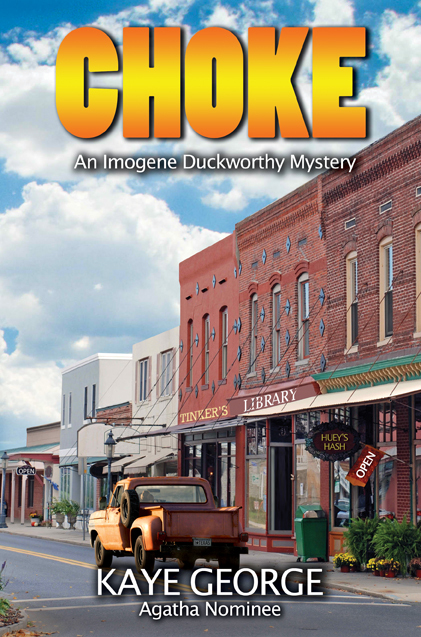 My first mystery, CHOKE, was published by Mainly Murder Press. We parted company a year later and I've since published the second in the series, SMOKE, by myself. The third is planned for October. There are a couple of other irons in the fire. 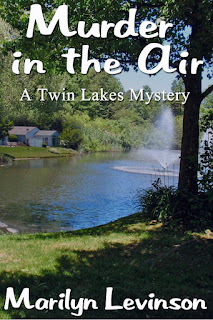 Just this week, I accepted a publication offer from Barking Rain Press for a musical sleuth mystery AND submitted a cozy proposal through my agent (Kim Lionetti at BookEnds) to Berkley Prime Crime. Fingers crossed on that one. Listen for more screaming if that happens. I'm serving as president of the Guppies chapter of Sisters in Crime until next June. This organization was my life saver when we moved out of Dallas and away from my SinC chapter and the Irving Symphony and my string quartet and…everything else. OK, that's my writing life, sort of messy and scattered, much like the usual state of my office. (I figure being creative gives me license.) I hope to contribute with posts on writing topics in the future. For today, I'll say that I've done self and small press publishing, digital, audio, and print and would love to answer any questions about these from readers. If that's too general, I'll get more specific about what each one entails, compare and contrast, in future posts. Thanks to the bloggers here for having me! 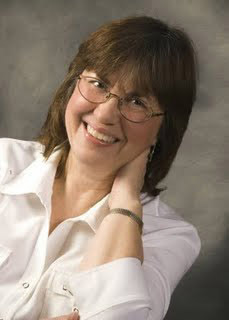 There's lots of info at my webpage, http://kayegeorge.com/ and you can catch me a couple of other places blogging: http://travelswithkaye.blogspot.com/ and http://allthingswriting.blogspot.com/, which is a cross-genre place. When I began writing my Logan & Cafferty mystery/suspense series, I decided to focus on various social problems, including serial killers in A Village Shattered, drugs in Diary of Murder and homegrown terrorism in Murder on the Interstate. 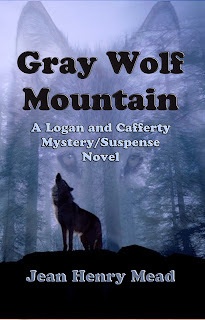 For my latest novel, Gray Wolf Mountain, which was released this week, I researched the unwarranted mass killings of wolves, both in this country and Canada. What I learned was shocking. In the northern Rocky Mountain states, where wolves have been removed from the endangered species list, gray wolf puppies are gassed in their dens and buried alive, while aerial killings of adult wolves are accomplished by shooting them from planes and helicopters. In both the U.S. and Canada, where government mandated numbers of wolves must not go below one hundred, female wolves are captured and sterilized. Also in Canada, where the Keystone Pipeline is under construction, caribou have been dying off because their natural habitat has been destroyed. But wolves have been blamed for the caribou deaths and nearly a thousand have already been reportedly killed from the air. In the Yukon Territory where biologists track wolf numbers and their locations with radio collars, the Game and Fish Department is killing great numbers of wolves from the air so that the caribou numbers will increase to 100,000 while wolf numbers dwindle to a hundred in the entire territory. Why? To attract big game hunters. Why should anyone be concerned about the demise of the wolf as well as the grizzly bear, which is also under consideration here to be delisted. Because they're both keystone predators who influence their habitat’s entire ecosystem and keep the animals that eat plants in check. That in turn increases plant growth and the survival of birds and animals which depend on the plants. It also prevents a build-up of large game animals who will starve to death due to lack of food. In other words, killing off the predators unbalances nature. Frustrations With My Latest Book--Maybe Too Much To Do? Anyone who knows me, knows that I always have a lot going on. I'm continuing to promote my Rocky Bluff P.D. series, not just the latest, No Bells, because my publisher at Oak Tree Press was generous enough to bring ou the earlier books in the series that had been with a different publisher. Of course I'd like people to read them too, though I've always written each book so it could be enjoyed without reading the earlier ones. 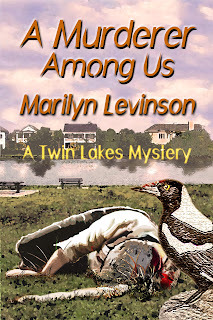 I have a new Deputy Tempe Crabtree mystery coming out toward the end of this month. I've been planning a blog tour for it during the month of September. I think I've got all the blogs written, photos chosen, and everything ready to go. I also planned two physical book launches. (Still have to make posters and invitations for those, but they are on my to-do list for later. Now the frustration part. I am about 3/4 of the way through the first draft of the Deputy Tempe Crabtree mystery for next year (yes, I have to juggle those two series if I'm to get two books done a year) and I am at a most critical point. At first, because it's going to be rather dark, I had trouble getting into it. Oh, I do know what's going to happen, though I haven't worked out all the details yet--I'll do that as I go along--experiencing it with Tempe. When I got all fired up to write, for some reason, the automatic paragraph indent quit working. I have the latest version of WORD which has been the most complicated of all the word processing program to learn--for me at least. I fiddled with this and that, emailed my favorite computer tech, he gave me some complicated directions. I followed them, but not well-enough I guess, because it didn't quite work. Then I told my publisher for RBPD and she told me to send it to her and she'd try to fix it. Well, she fixed what I'd alread done, but when I started to write, the new stuff didn't work right. Then I discovered I had extra space between my paragraphs which I didn't want. I tried all different things, things I thought ought to work--but they didn't. Another email to the guru. I worked at it some more--and finally I got it. Guess what, it was now time to fix lunch for hubby. Plus I was really too frustrated to write. Deciding to write this blog, I tried to get into the sign in space and nothing would work. When all else fails, turn off the computer and start again. Well, I did that, but Blogger still wouldn't cooperate, so I switched from Firefox to Explorer. Voila! It worked. Now it's nearly time to fix dinner. Didn't do half of what I hoped to accomplish today. Tonight is my critique group and they always lift my spirits. I do hope your day has been far less frustrating than mine. I'm excited to announce we've got some brand new bloggers here at Make Mine Mystery. Not only that, many of our regulars will still be here blogging for you as well. To offer a heads-up, I've included our lineup below. Except for a few variations when life intrudes, we expect to follow our schedule. There may be some extra days here and there at the end of some months, when we'll either include special events or guests, or just take a breather. Many of our blogs will still relate in some way to mysteries. Others will offer writing advice, or touch on trends in marketing, publishing and networking, since today's authors don't just write books any more. You'll find photos of all our bloggers in the right sidebar. I encourage you to click on the photos, where you can be directed to our websites or blogs to learn more about us. You may discover favorites you wish to follow, which is a good thing; but we're hoping we can all be your favorites! There you have it -- The Cast of Make Mine Mystery!!! Do Thrillers Need People Continuously Hanging from Cliffs? 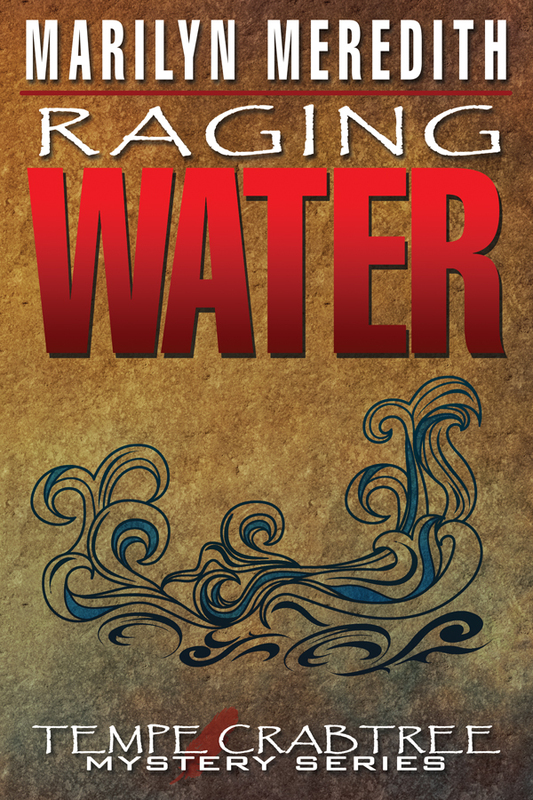 My newest published book takes me back to my writerly roots, meaning espionage fiction, or put more simply, spy stories. That's what I started writing (and not getting published) back in the sixties. After a twenty-something-year hiatus, I returned to the genre when I retired in 1989. I wrote a trilogy of Post Cold War thrillers about an ex-FBI agent who gets caught up in the espionage business. Now revised for publication after another twenty-something years, Beware the Jabberwock has been out as an ebook for a few months and will be up on Amazon as a paperback in a few days. 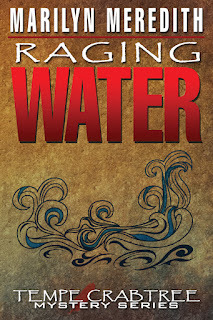 I have received a few five-star reviews, but I'm wondering how other folks feel about the thriller variety. Do you think it's necessary to have the hero in a constant cliff-hanger status, or is it just as good to keep the tension up but spend some time developing the characters so you understand why they do what they do? Bad guys as well as good? Frankly, my thrillers don't move at breakneck speed, dashing all over Paris and France and who knows where else in a 24-hour period. The main part of Jabberwock takes place over a three-week period, but there's always that dealine staring you in the face. So what do you think? What's a thriller writer to do? 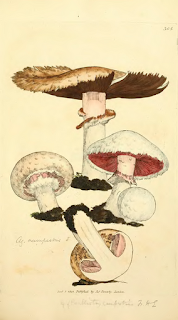 Read more about Beware the Jabberwock at my website. Now, that's a headline that might have you thinking ol' Randy has lost touch with reality. After all, the first definition of fiction in my Random House Webster Unabridged dictionary is: 1. the class of literature comprising works of imaginative narration, esp. in prose form. So, if it's imagination, what's with the accuracy bit? Well, I love history—don't claim to know as much as I should (or could), but I enjoy the parts I have studied. High in my interest is the history of our country, pre and post-Revolutionary War—and that includes its possessions and territories. Fortunately, we live in an age when research of our country's history is as easy as hitting a few keys. So, I'm amazed when an author makes a glaring historical error in a book—an error that plays a large part in the story. Then, I am doubly amazed when I consider that the manuscript went through an agent to a publisher, through the publisher's editing process, and made it onto the bookshelf. Yet, it happens—all too often. I recently started a story that drove this point home to me again. Since I don't want to get sued, I'll change a few particulars as I whine about it. Let's say the book opens in 1830 in New Mexico. An immediate problem. The area we now call New Mexico was a part of Mexico in 1830, and New Mexico, even New Mexico Territory, did not exist. Continued: a person is accused of violating U.S. law by importing an illegal substance. Problem. It's Mexico, so U.S. law is not in play. Furthermore, there is a reference to Russian spies and several other facts I'm now doubting. A few paragraphs later, I'm well into "Huh? ", the book goes flying, and the author has lost a potential fan. To add insult to injury, these facts occurred in the first few pages. The writing (or the bit I read) was tight, seemed to open an interesting story, and the dialogue was believable. So why didn't the author take a few minutes and make the historical aspects of the story accurate? And why didn't someone in the chain catch his flagrant errors and demand he fix them? Beats me, but I refuse to read a book where an author is as lazy (or whatever) as this one.